Patterns may be slightly different to one in the image. 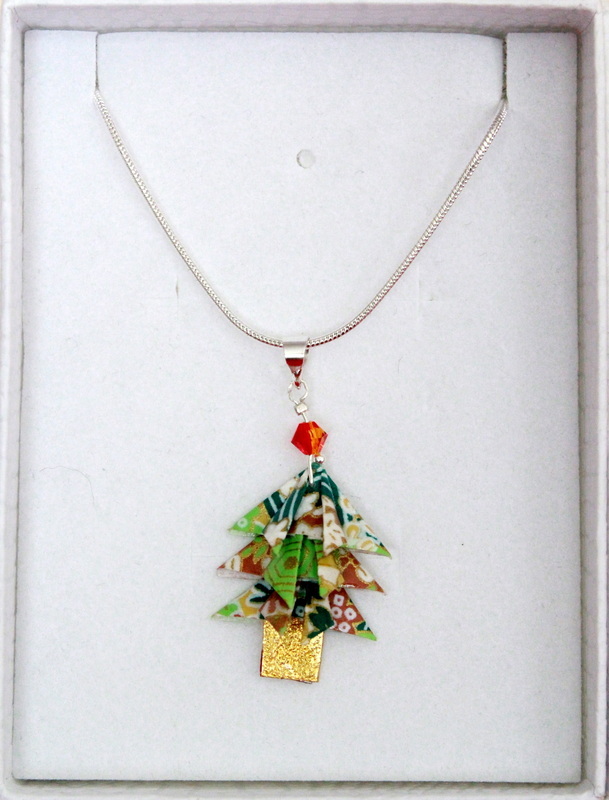 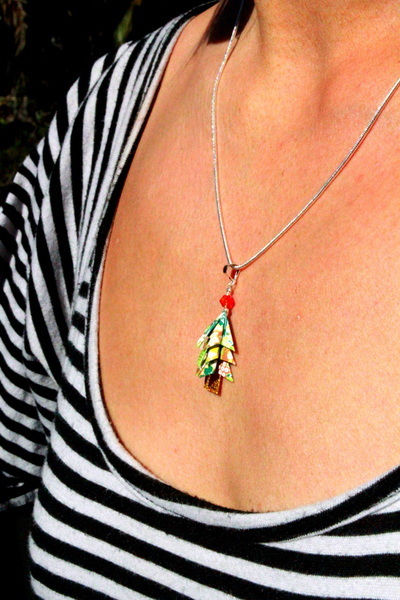 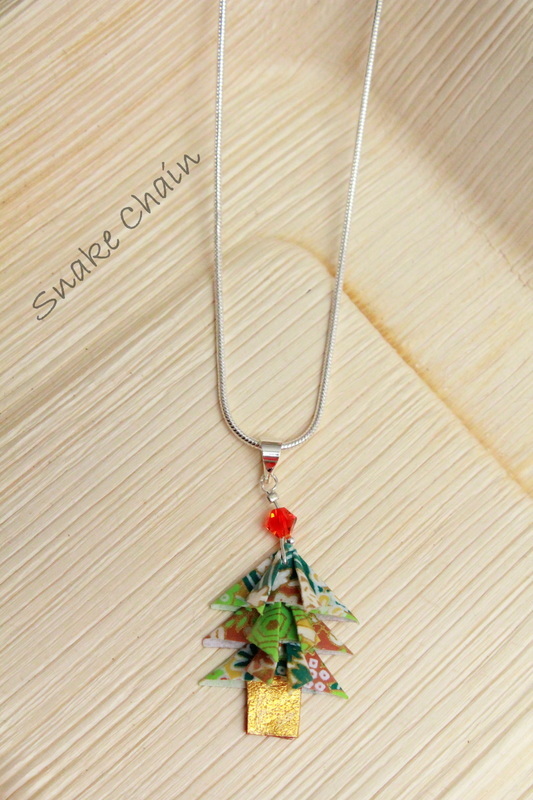 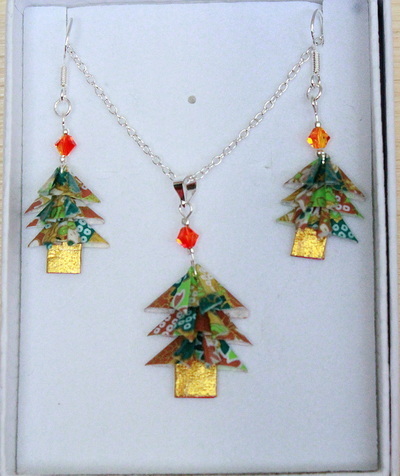 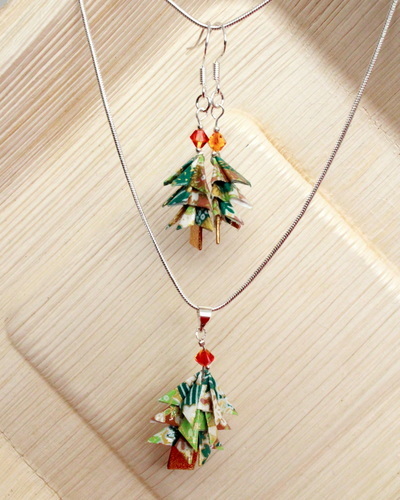 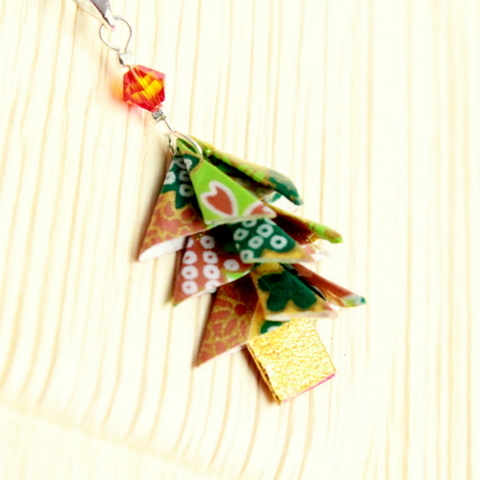 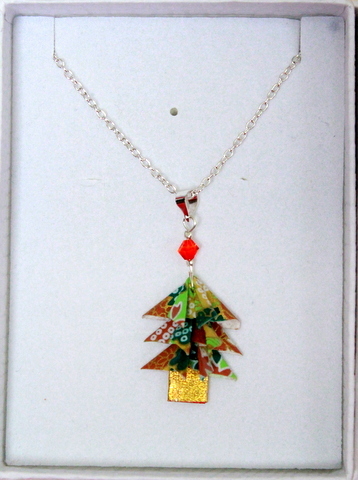 Pine tree pendant is folded from Japanese Washi Paper with beautiful patterns. Each piece is hand painted with water resistant polish to give a glowing effect. 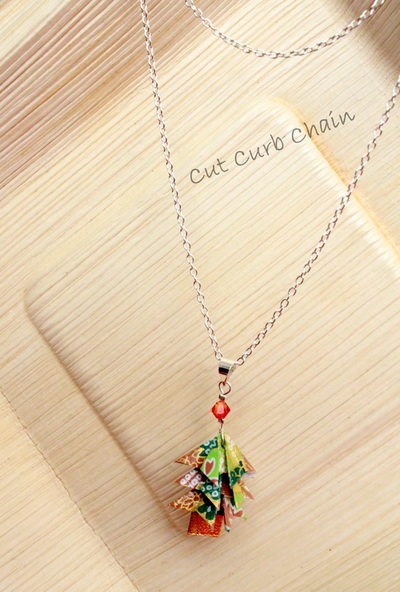 Assembled with red Swarovski crystal and 925 Sterling Silver necklace chain. 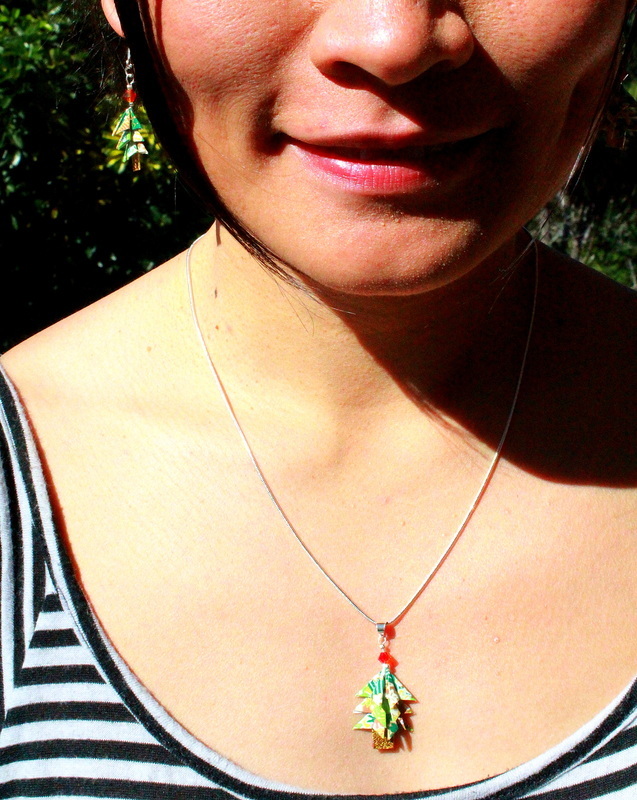 Patterns may be slightly different to one in the image. 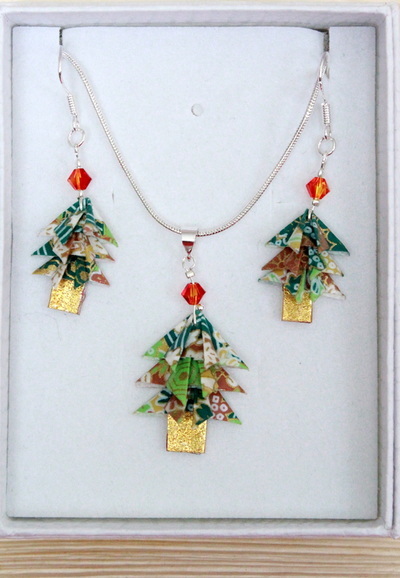 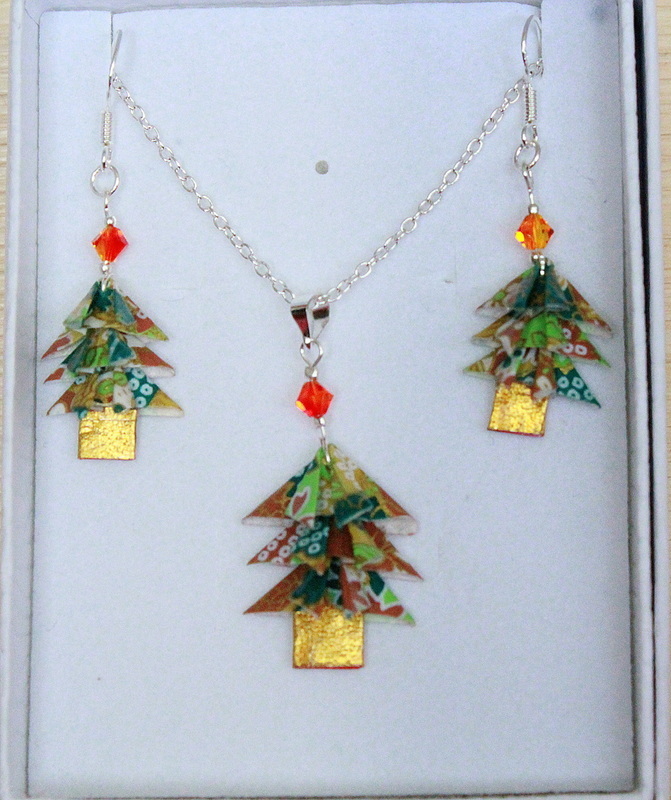 It is also available in a set with the earrings as listed in the options below.